A pedestrian has been run over and killed in Denbighshire. 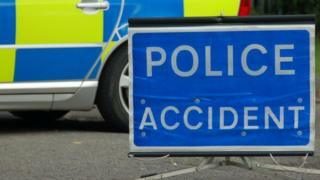 The man, who was in his 40s, was hit as he walked on the A494 in Ruthin, towards Llanbedr Dyffryn Clwyd, at about 01:40 BST. The road will be closed for several hours. Sgt Jason Diamond of North Wales Police said: "He is local to the area and our sympathies go out to his family." The force has appealed for anyone who saw the man walking on the A494 between 01:00 and 01:40 to come forward.